Can You Use Google Maps & Google Earth Images? Home > Google News > Google Maps > Google Maps Images: Can I Use Them? Google Maps Images: Can I Use Them? 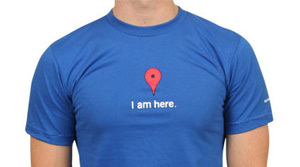 One of the more common topics I see come up is the question of, can I use images from Google Maps or Google Earth on my web site, on a t-shirt, in the news paper, on TV or somewhere else. Some of the most frequent questions we get from the media regard rules around using our maps on television, in film and online — everything from how much does it cost, to what should the credit look like, to whether you need our explicit permission for each use. To help clarify your questions, we’ve refreshed the “Using our maps” section on the Google Permissions site. We hope it helps! Visit the site here.